If you’ve heard of mukbang and Twitch, you’d know what is livestreaming. YouTubers, gamers, and artists are making a living out of sharing a slice of their lives on social media. As with most social media, livestreaming can also be monetised – but if you think it’s easy money, think again. While it is helpful if the streamer is good-looking, how much you earn depends on several factors such as, the content and the length of the stream. A regular vlog livestream can net you some followers and views, but a singer playing the guitar can be wildly popular – like these girls who earn up to $1,900 a month just by being streamers. But how sustainable is it to make a living amongst the different livestreaming apps? When BeLive announced that they will be soft-launching their cash out feature this December, it hit me that another factor that determines how much a streamer earns, is the commission the streaming platform would take. While the streamers on BeLive – BeLivers as they’re called – have already been cashing out their gifts, CEO and Co-founder of BeLive, Kenneth Tan said that it was only previously made available to streamers who worked with them exclusively. We wanted to make sure that our scalability as a business would work even if we gave a much larger percentage to our streamers. “We are making it available to the public now because we’re confident that it’d be viable,” he explained. At the time of writing, I learnt that rates apply to all streamers with no contracts, and that different platforms may have different payout or payment schemes for streamers on contract. So I decided to find out a little more about the payouts on Loops Live SG and BIGO LIVE and compare them to BeLive’s. 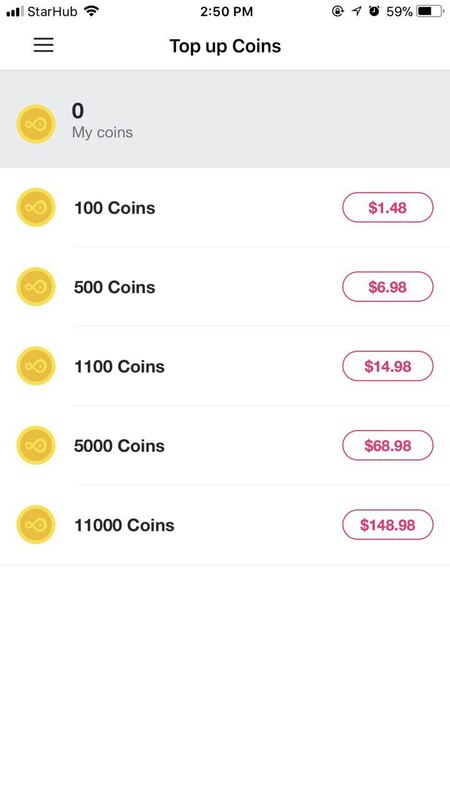 For these livestreaming platforms, users can buy in-app currency with real money to exchange for gifts that users can give to the streamers they’re watching. With some help from my colleagues, who helped to screenshot various pages from the apps, I managed to find out the different payouts with the information available in the apps. Note: All figures are accurate as of 5 December 2017. Figures are in Singapore Dollars unless otherwise stated. With this, one can calculate how much 1 coin is worth. Let’s take the 11,000 Coins bundle for example. 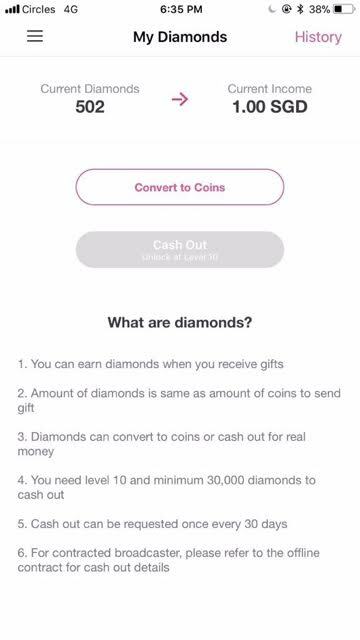 So now that we know this and that we can use Coins to buy gifts which convert into Diamonds, we need to find out the value of Diamonds. For easy reference, let’s call it the secondary in-app currency. Loops uses Diamonds, Bigo uses Beans, and BeLive uses Stars. Users of these apps can only convert their respective secondary in-app currency into cash. I went and messaged the Loops team on Facebook and was told that for 1 coin’s worth of gift, it equals to 1 Diamond. So, in order for the broadcaster (a Loops streamer) to cash out $1,000, they’d have to earn 502,000 Diamonds. Since Diamonds to Coins is 1:1, we use the real monetary cost of Coins to find out the real monetary value of Diamonds. Verdict: Streamers must earn $6,777 worth of gifts to cash out $1,000. According to a colleague of mine who had used the Bigo Live app before, she also said there’s a cash out function for streamers. 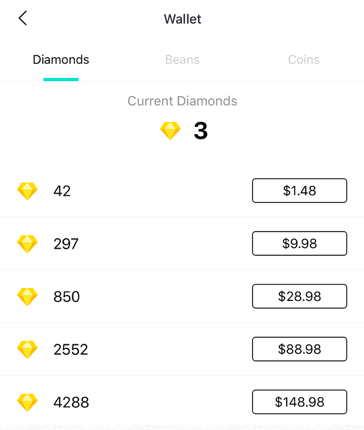 Likewise, users have to purchase Diamonds, the in-app currency to buy gifts to give to streamers. Like Loops, 1 Diamond converts to 1 Bean. 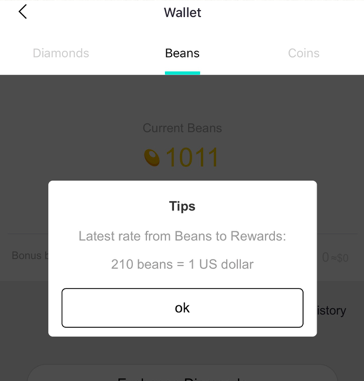 According to the above screenshot, 210 Beans is worth USD$1 which is equals to $1.35. According to their calculations, to earn $1000, the Bigo streamer needs to receive 158,730 Beans. That’s 155,555 Diamonds worth of gifts. 1 Diamond is worth $0.3474, so 155,555 Diamonds equals to $5,403.90. Verdict: Streamers must earn $5,403.90 worth of gifts to cash out $1,000. Needless to say, BeLive users can exchange money for Gems. 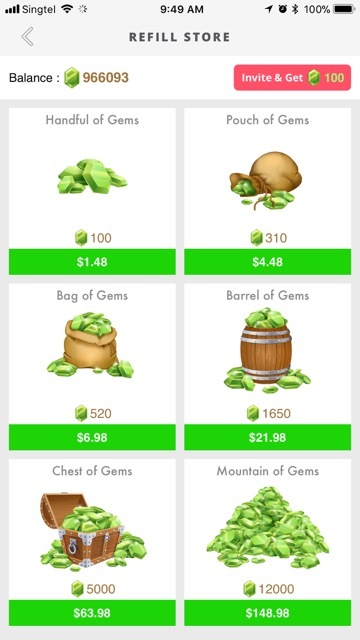 So, from the above, the 12,000 Gems bundle is worth $148.98. Like the rest, 1 Gem is 1 Star. When we checked in with him Kenneth revealed that 194 Stars is worth $1. To earn $1,000, the streamer needs to receive 194,000 Stars, which converts to 194,000 Gems worth of gifts. The streamer has to receive a total of $2,328 (194,000×$0.012) from viewers. Verdict: Streamers must earn $2,328 worth of gifts to cash out $1,000. In a nutshell, if streamers want to cash out $1,000 – a Loops’ broadcaster would have to get $6,777 worth of gifts, while a Bigo streamer would have to get $5,403.90 worth of gifts. However, a BeLive streamer would only have to get $2,328 worth of gifts – which is less than half of Loops and Bigo. I would like to add that we should consider that livestreaming apps are free to download, and their in-app purchases are used to buy virtual gifts. So when users send virtual gifts to streamers, they are ‘tipping’ within the app. 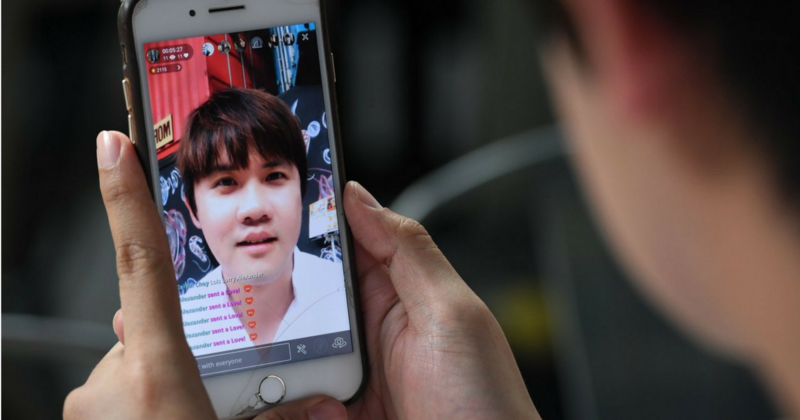 According to report by Techcrunch in June this year, Chinese streaming apps have “long embraced tipping”. But Apple was initially upset at this practice because app developers “sidestepped its 30 percent tax on in-app purchases”, saying that tips were considered donations and not purchases. We assume the amount streamers earn is $1,000 for the calculations below. To conclude, BeLive streamers get a larger percentage of the actual contribution from their viewers, compared to the other platforms, to earn the same sum of money. We cannot deny that streaming is a viable source of income. Like many social media features we thought would fade away after some time (think Instagram Stories), streaming is now a new norm. Out of curiousity, I asked him how long it will take for popular BeLivers to cash out. “A popular streamer can hit the minimum cash out amount of $50 in a single stream of under 60 minutes,” shared Kenneth. There are currently 150,000 users on the BeLive app, and about 30 per cent of these users have gone on to creating their own ‘live’ channels. BeLive’s most popular stream categories include Music, Beauty, and Food. If you are someone looking for a side project to showcase your talents, or have a passion for entertaining people on your own terms, perhaps you can look to livestreaming to earn those handsome Yusof Ishaks.